John McCullah hosts a TV show called Dirt Time, which is dedicated to erosion control techniques. 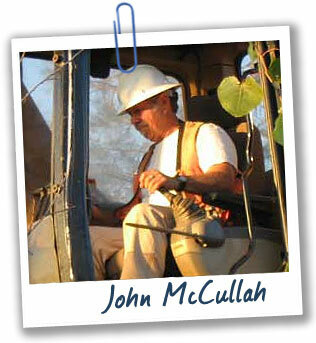 John travels all over North America to build systems that prevent soil from eroding into rivers and streams. I spent hours playing with popsicle sticks in storm gutters. I was fascinated with the way water moved around things. I still am! Now I study how land is shaped by water. What got you interested in soil erosion? For me it hit home because of fish. I live in northern California, and the plight of the salmon was tragic. Salmon spend several years in the ocean, but their whole purpose in life is to come back to the rivers in the Pacific Northwest and spawn. But when they came back, those streams had been filled in by sediment. I’m doing everything I can to prevent sediment from polluting our streams and waterways.